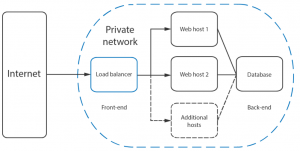 Load balancing is a common solution for distributing web applications horizontally across multiple hosts while providing the users with a single point of access to the service. HAProxyis one of the most popular open source load balancing software, which also offers high availability and proxy functionality. HAProxy aims to optimise resource usage, maximise throughput, minimise response time, and avoid overloading any single resource. 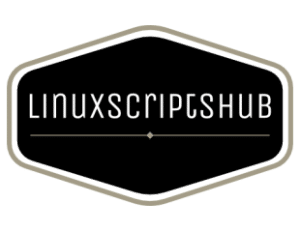 It is available for install on many Linux distributions like CentOS 7 in this guide, but also on Debian 8 and Ubuntu 16 systems. HAProxy is particularly suited for very high traffic websites and is therefore often used to improve web service reliability and performance for multi-server configurations. This guide lays out the steps for setting up HAProxy as a load balancer on CentOS 7 to its own cloud host which then directs the traffic to your web servers. As a pre-requirement for the best results, you should have a minimum of two web servers and a server for the load balancer. The web servers need to be running at least the basic web service such as nginx or httpd to test out the load balancing between them. As a fast developing open source application HAProxy available for install in the CentOS default repositories might not be the latest release. To find out what version number is being offered through the official channels enter the following command. HAProxy has always three active stable versions of the releases, two of the latest versions in development plus a third older version that is still receiving critical updates. You can always check the currently newest stable version listed on the HAProxy website and then decide which version you wish to go with. In this guide, we will be installing the currently latest stable version of 1.7, which was not yet available in the standard repositories. Instead, you will need to install it from the source. But first, check that you have the prerequisites to download and compile the program. Download the source code with the command below. You can check if there is a newer version available at the HAProxy download page. Once the download is complete, extract the files using the command below. Change into the extracted source directory. Then compile the program for your system. And finally, install HAProxy itself. With that done, HAProxy is now installed but requires some additional steps to get it operational. Continue below with setting up the software and services. Next, add the following directories and the statistics file for HAProxy records. Create a symbolic link for the binary to allow you to run HAProxy commands as a normal user. If you want to add the proxy as a service to the system, copy the haproxy.init file from the examples to your /etc/init.d directory. Change the file permissions to make the script executable and then reload the systemd daemon. You will also need to enable the service to allow it to restart automatically at system boot up. For general usage, it is also recommended to add a new user for HAProxy to be run under. Afterwards, you can double check the installed version number with the following command. In this case, the version should be 1.7.8 like shown in the example output above. Lastly, the firewall on CentOS 7 is quite restrictive for this project by default. Use the following commands to allow the required services and reload the firewall. Setting up HAProxy for load balancing is a quite straight forward process. Basically, all you need to do is tell HAProxy what kind of connections it should be listening for and where the connections should be relayed to. This is done by creating a configuration file /etc/haproxy/haproxy.cfg with the defining settings. You can read about the configuration options at HAProxy documentation page if you wish to find out more. Start off with a basic setup. Create a new configuration file, for example, using vi with the command underneath. Add the following sections to the file. Replace the with what ever you want to call you servers on the statistics page and the with the private IPs for the servers you wish to direct the web traffic to. You can check the private IPs at your UpCloud Control Panel and Private network tab under Network menu. This defines a layer 4 load balancer with a front-end name http_front listening to the port number 80, which then directs the traffic to the default backend named http_back. The additional stats URI /haproxy?stats enables the statistics page at that specified address.